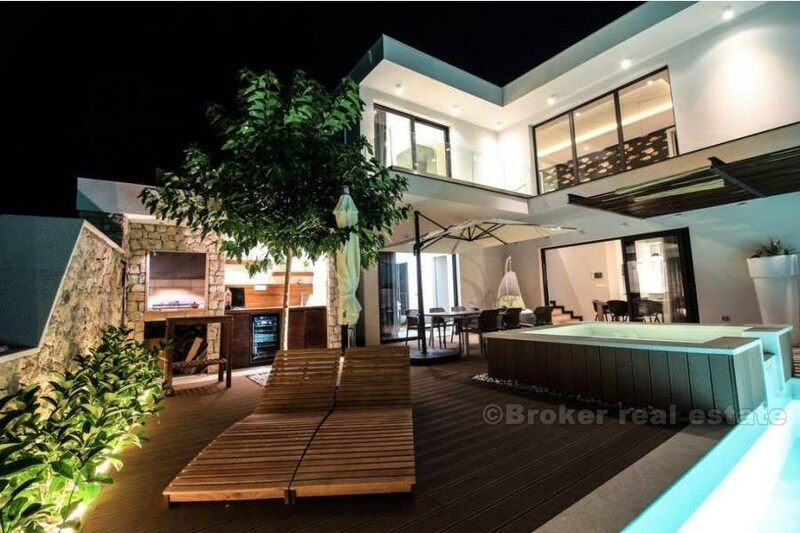 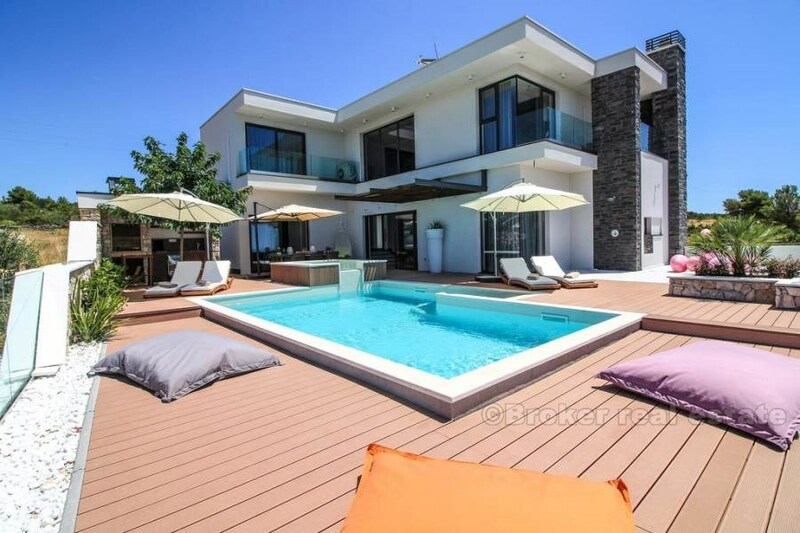 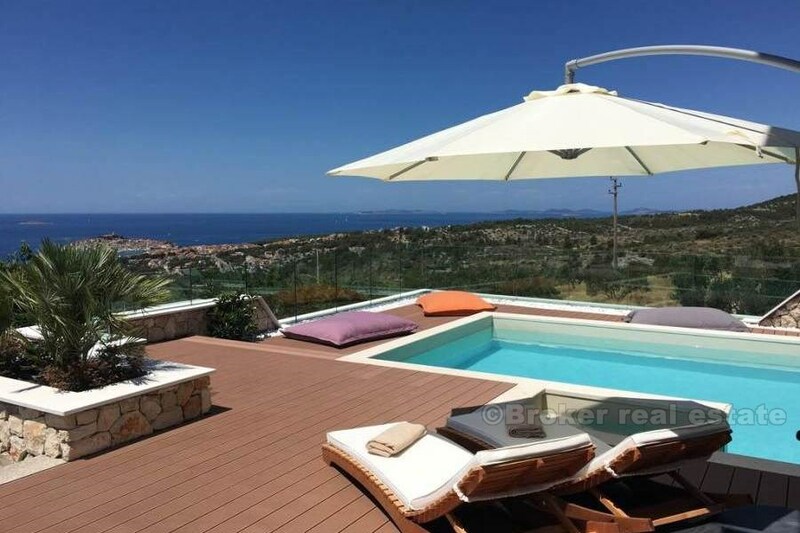 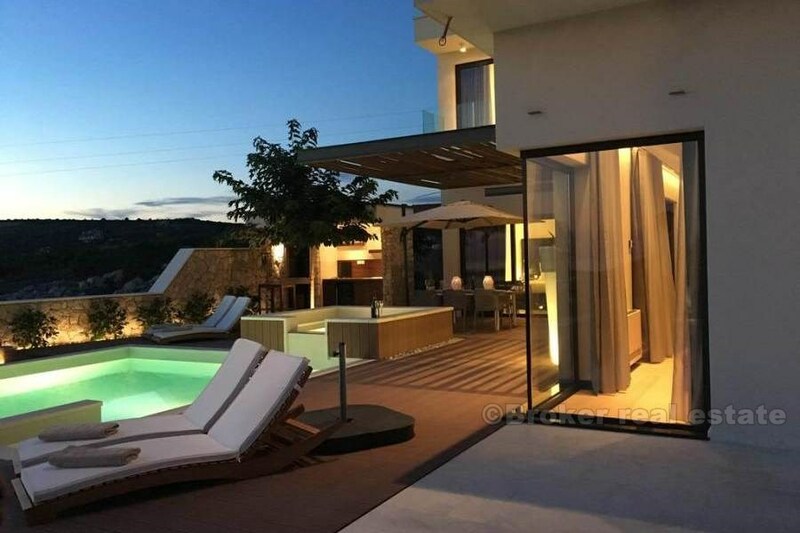 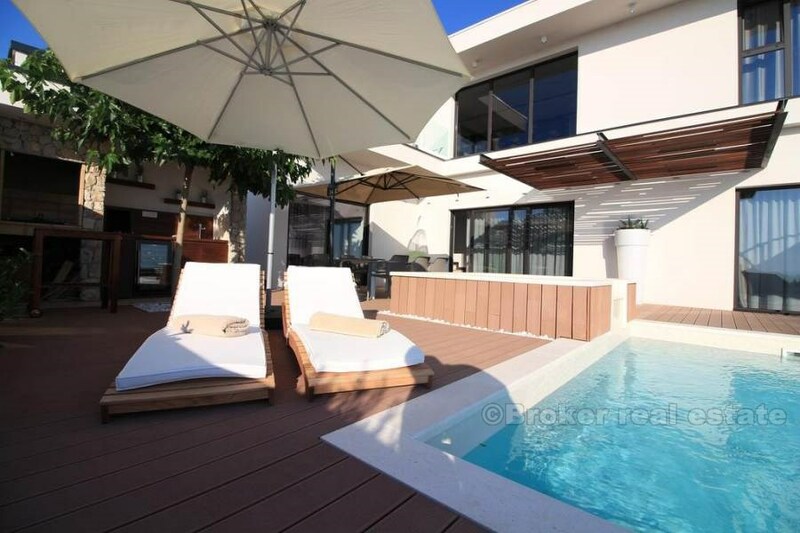 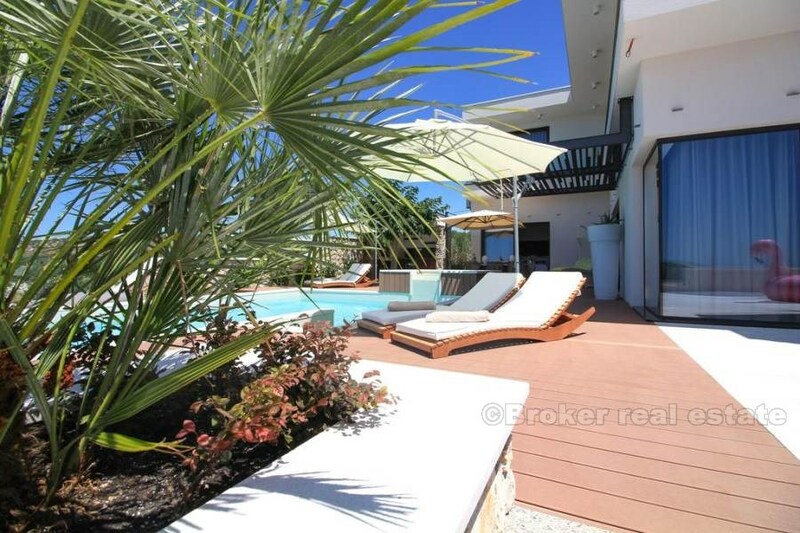 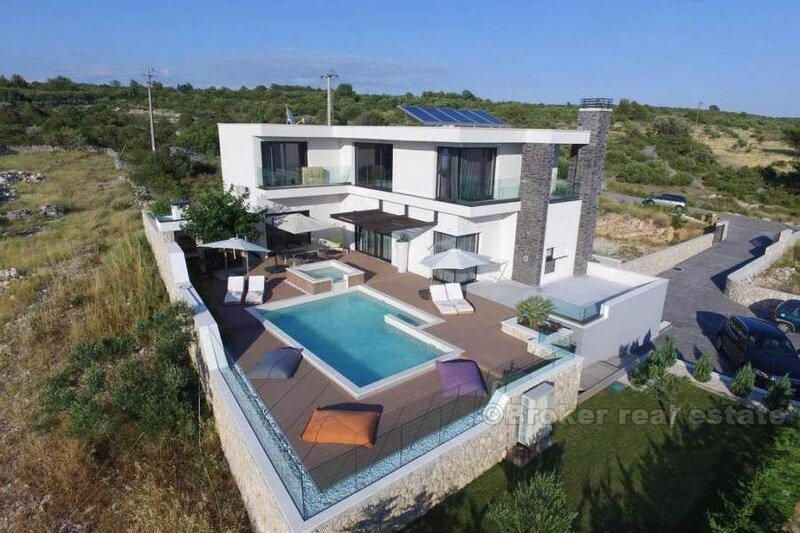 This superb, new built villa is located in Primosten, in the hills, with fascinating views. 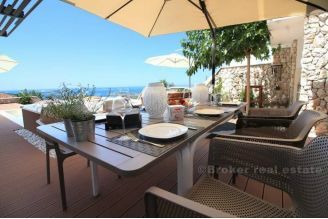 It is located just 500 meters from nearest shops, restaurants, cafe bars, and less then 2 kilometers to the nearest beach. 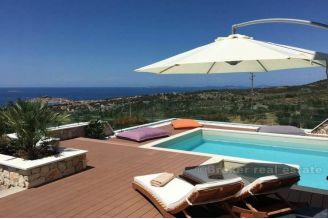 Villa consist of total 190m2 of living area, and of a plot of 675m2. It consist of ground floor and first floor, complete furnished by high quality furniture. 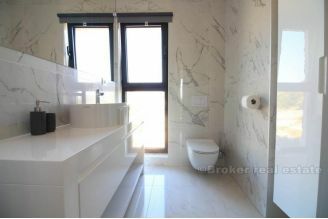 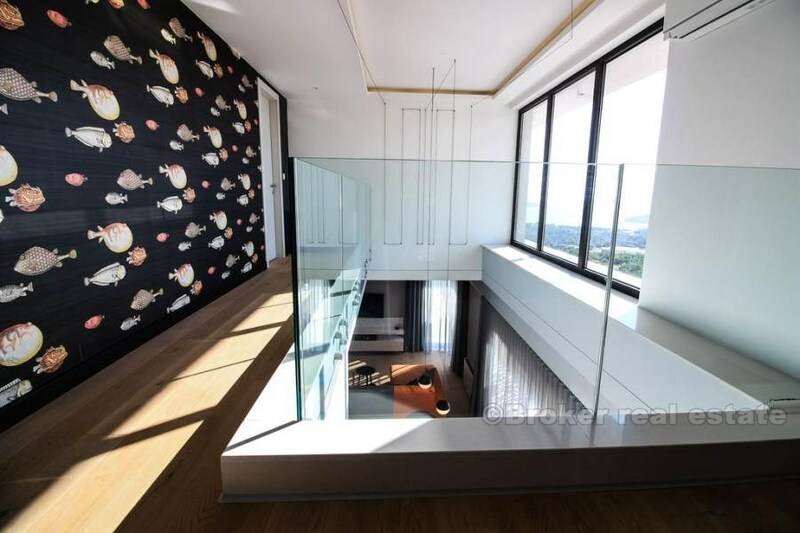 Ground floor includes, hallway, living area, dinning room, kitchen, guest toilet, ensuite. 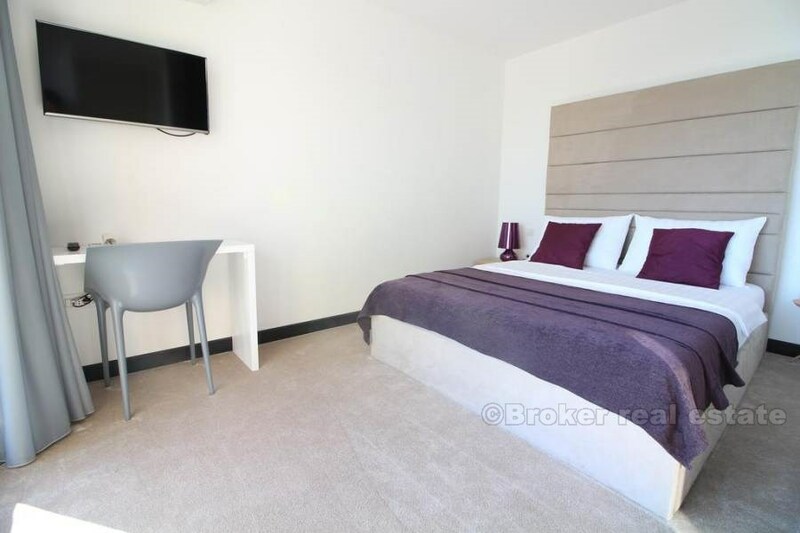 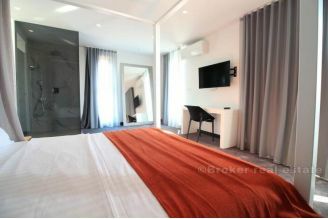 From the living area, and also from the ensuite, is access to the spacious terrace with jacuzzi and swimming pool. 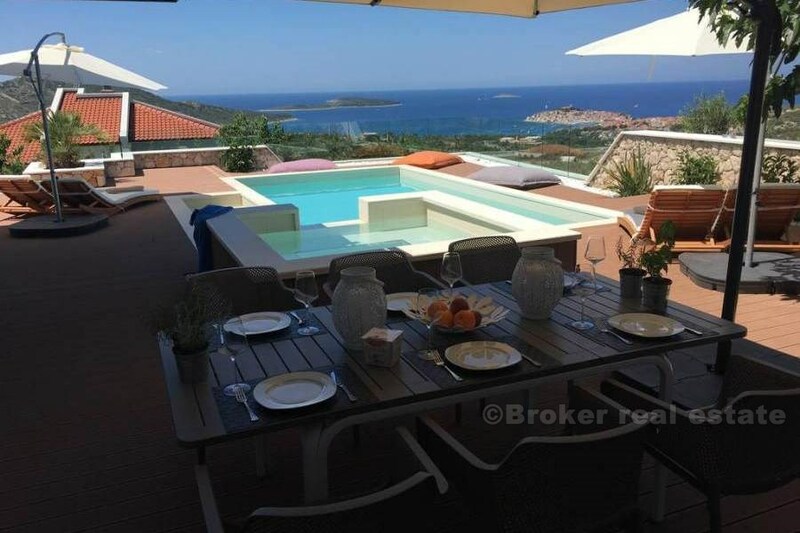 On the terrace there is outdoor furniture, outdoor summer kitchen, grill, swimming pool with jacuzzi, shower, and stunning panoramic views on the Primosten and sea. On the first floor there is 3 bedrooms, 3 bathrooms, and 2 balconies. All rooms are air-conditioned, and on the roof of the villa are solar pannels which purpose is producing energy for under floor heating. 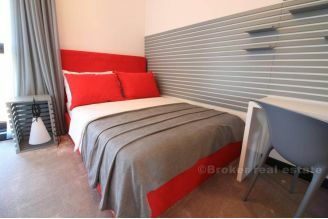 Car access is friendly, and on the property is parking for 2 cars and garage place for 1 car. 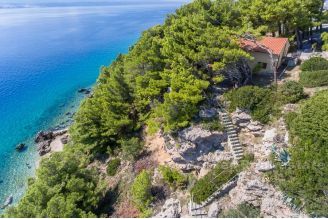 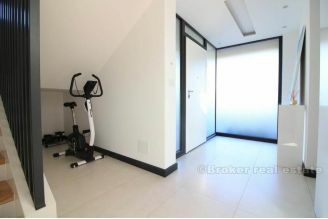 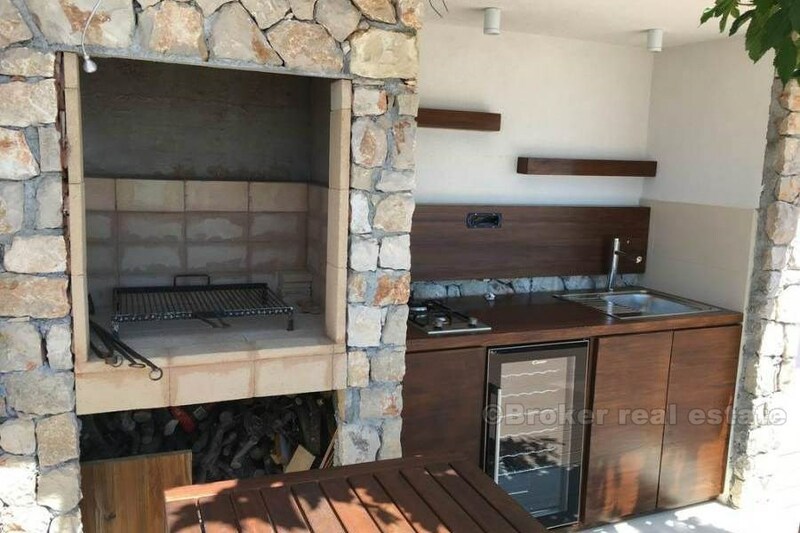 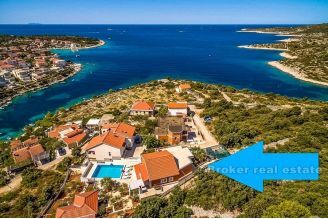 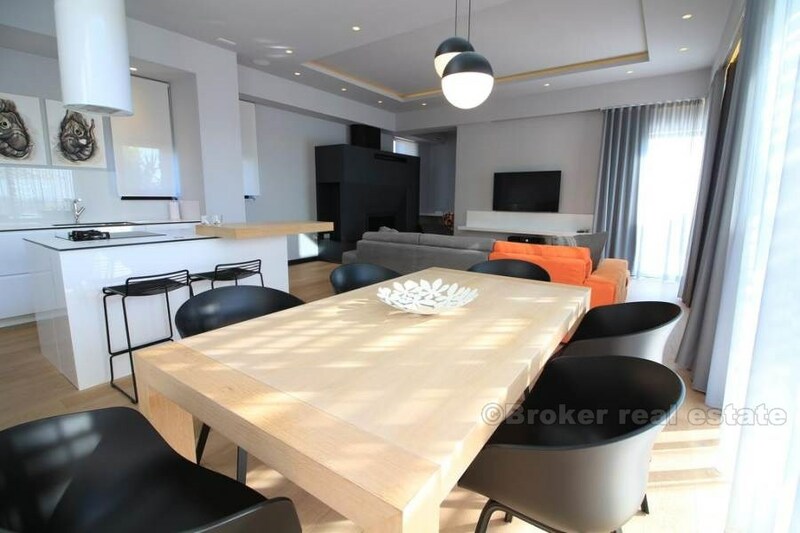 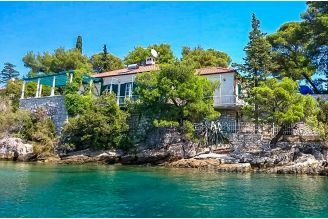 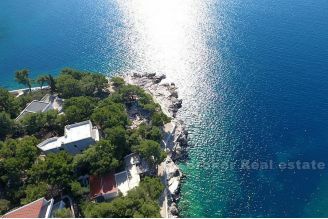 Property is 2 kilometers from Primosten, and 35 kilometers to airport in Split.